For as long as I can remember I’ve been drawn to the photography of Walker Evans. Buildings, as Walker Evan’s photographs confirm, provide ideal surfaces and exposure for various forms of graphic proclamations – signs, wall paintings, posters and mosaics. These temporary adornments may be distant cousins to architecture’s carefully considered, permanent surface embellishments such as friezes, frescoes and stained glass, nonetheless, they can play a role in understanding a structure’s history. They may not define a structure’s legacy, but they certainly add to its character. Throughout Ontario, in both urban and rural settings, one can see examples of fading graphics on warehouses, mills and retail stores. These once bold messages are now ghosts of their former selves – slowly and reluctantly losing their voices. Having said that, when you happen upon an example, they immediately signal another time, forcing us to look closely at the building and imagine a bygone era. A remnant has a funny way of engaging the imagination. Above a restaurant at the corner of Logan Ave. and Gerrard St. in Toronto a patchwork of fragmented typography broadcasts a cryptic message to passersby. The rounded corners of the art deco LOGAN GRILL font hover above the classic script face of the Coca-Cola logo. Both are enclosed within a heavy white border suggesting they appeared at the same time. A Lumberking sign, with its mid-century Helvetica letterforms, once covered the aforementioned ads in a blanket of yellow. Today the three ads battle for supremacy as they dissolve into one another. This street corner wall has become an unwitting graphic time capsule. 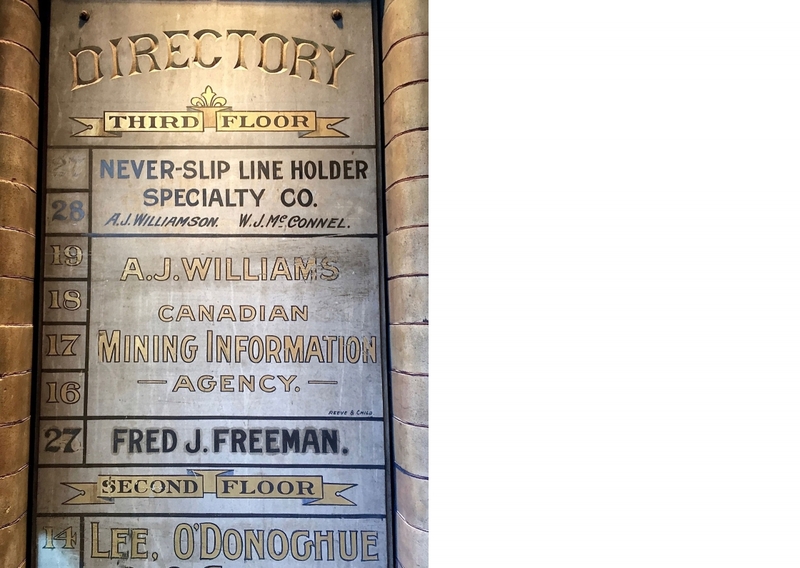 In the foyer of Toronto’s Dineen Building on Temperance Street you will find the preserved directory board of former tenants. Thanks to a recent restoration this graphic gem resurfaced, complete with its stone carved title and hand painted, gold-leafed lettering. 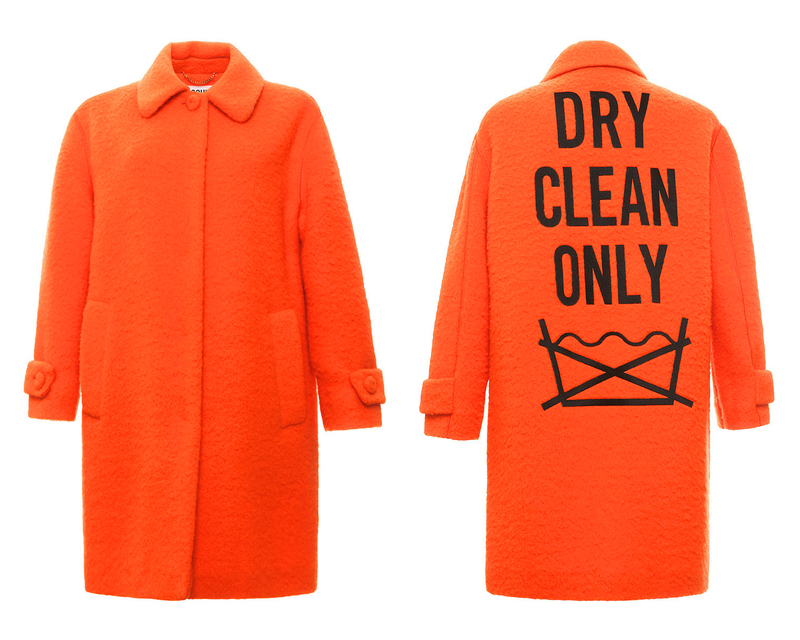 A quirky mix of serif and sans serif fonts are presented here, rendered in solid and outlined characters. This wayfinding relic could have been easily dismantled during the renovation. Now it offers visitors a window into the building’s past. Am I advocating that we preserve all building graphics? No. Like ACO’s many conservation efforts over the years, each must be assessed on its individual merit and historical relevance. Some surface embellishments are more significant than others. When a building is demolished it is lost forever and with it we lose a part of our history. 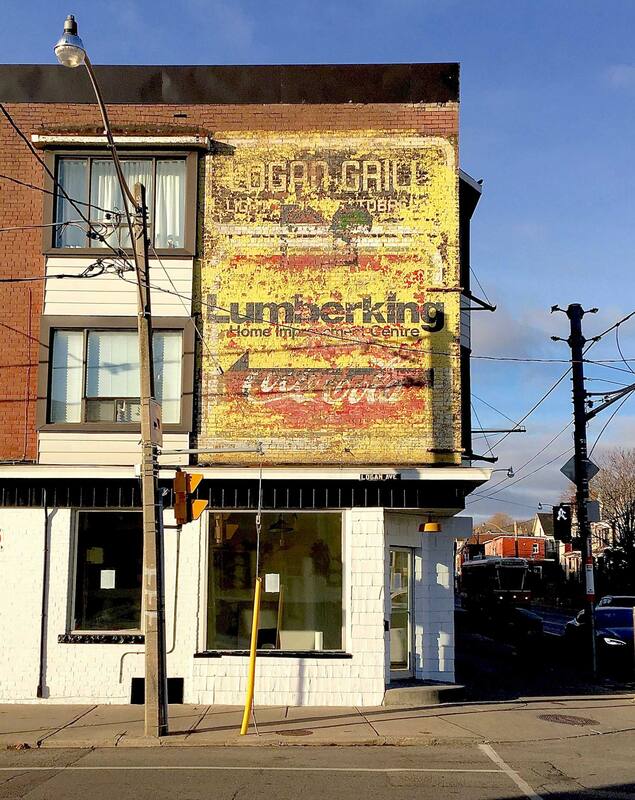 And when we eliminate or paint over or poorly restore old advertising and signage we destroy elements that may help a building tell its story. Most of these stories can never be fully told, yet these very remnants start the discovery process. Walker Evans, I’m sure, would agree. Bob Hambly is a partner in the Toronto-based graphic design firm Hambly & Woolley. He is a member of ACO Port Hope and ACO Cobourg.